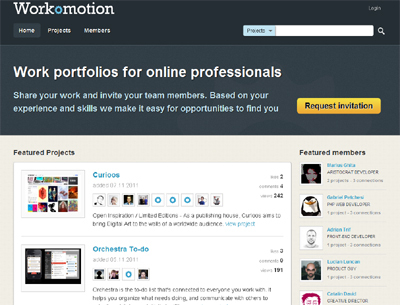 Workomotion lets tech professionals create work portfolios centered around their projects. You create a profile, add your projects and invite your team members to join. Workomotion allows the people to promote and share their work projects with the entire world and encourage their other team members to actually do the same. Where we are different is that we focus not on titles but on the real projects that people worked on together.